« Do you have a Growth Mindset? Tonight each of the six grades at Davidson will compete against each for the title of Most Pledges Earned TONIGHT! The winning grade will earn a popsicle party for EVERY dragon in the entire grade!! Pledge your support at www.FunRun.com to help your student earn this title! The KDE PTA believes that teaching is one of the noblest, most important and most valuable professions – and the teachers at Davidson are among the BEST! Every one of us entrusts them with the significant task of educating our children. Therefore, APPRECIATION is least we can do for them! Among several other things, the money raised during our Fun Run Fundraiser goes to support the many Appreciation Programs the PTA sponsors throughout the year. 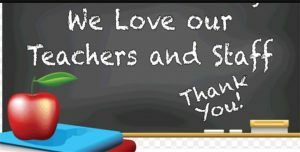 We hold specific events for the Crossing Guards, Cafeteria workers, Custodians, Bus Drivers, as well as a week-long Appreciation Event for our teachers. See what your dragon learned about Integrity during our MindSpark Mystery week HERE!